Cruise Vacation Outlet recommends that you purchase a travel protection plan to help protect yourself and your trip investment. Now more than ever it’s extremely important to think about the unexpected! 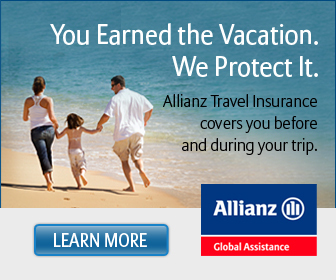 Please contact our Professional Travel Agents to discuss your protection plan options. Terms, conditions, and exclusions apply. Plan(s) underwritten by BCS Insurance Company or Jefferson Insurance Company. AGA Service Company is the licensed producer and administrator of these plans. Plans available to U.S. residents only and may not be available in all jurisdictions. This insurance is not required to purchase any other products/services. Unless licensed, travel retailers and their employees may provide general information about the insurance but are not qualified/authorized to answer technical questions about terms, benefits, exclusions, and conditions of the insurance or evaluate the adequacy of existing coverage. Contact AGA Service Company at 800-284-8300 or 9950 Mayland Drive, Richmond, VA 23233 or customerservice@allianzassistance.com.